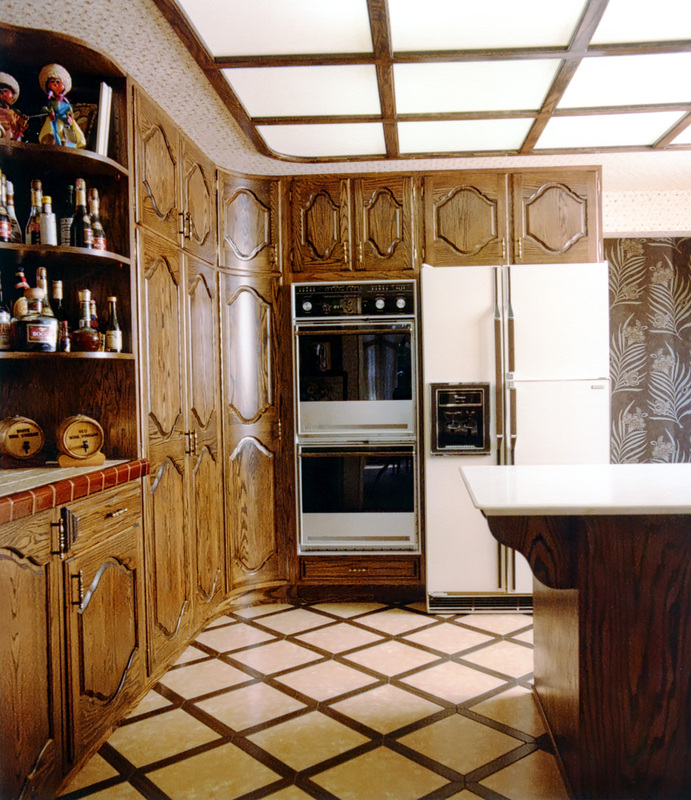 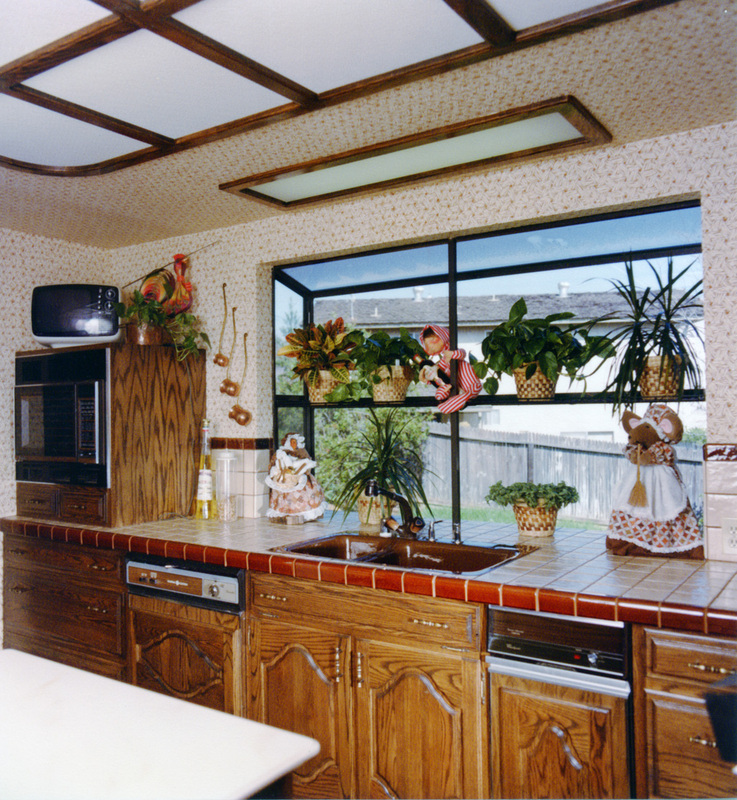 This kitchen had an almost perfectly square footprint. 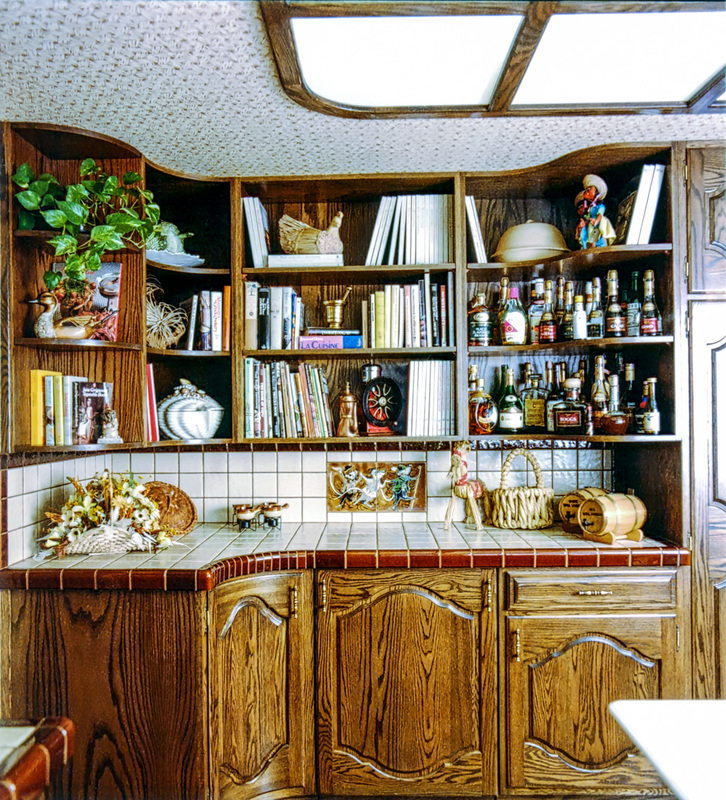 To make it more visually appealing we made heavy use of curved cabinet doors and curved open shelving. 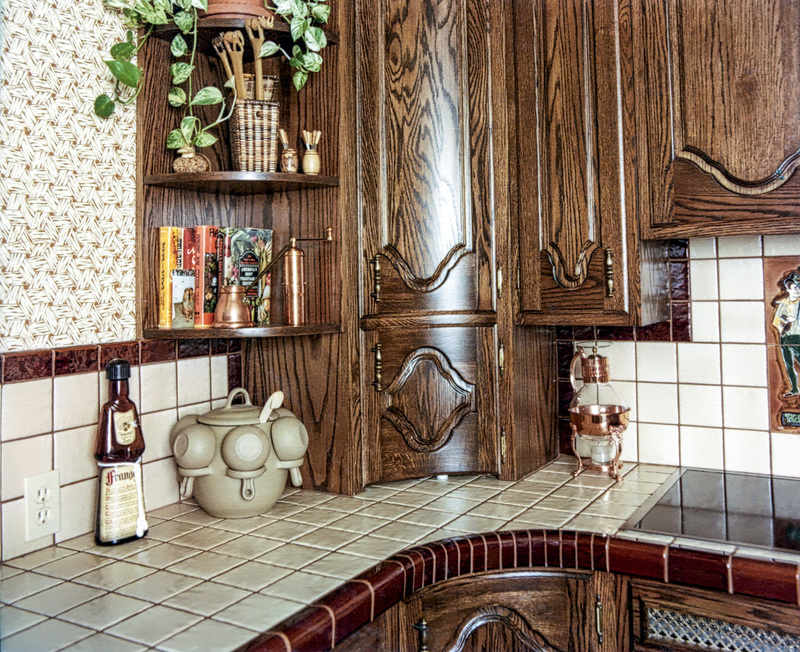 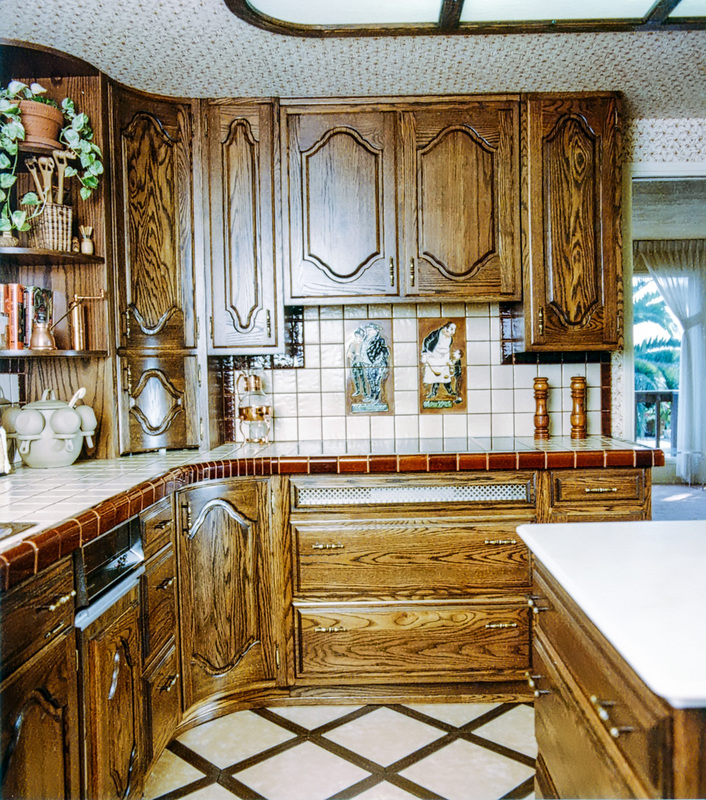 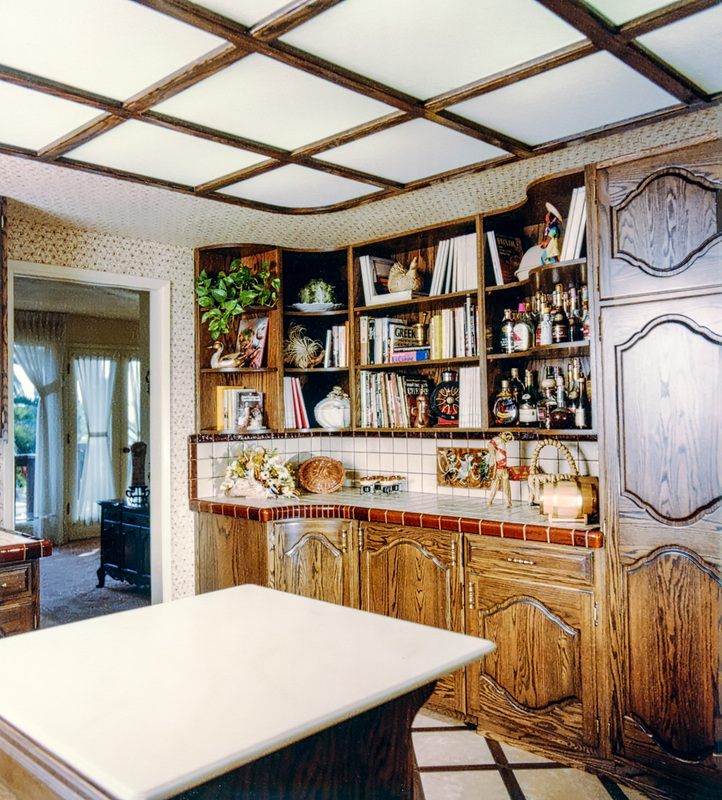 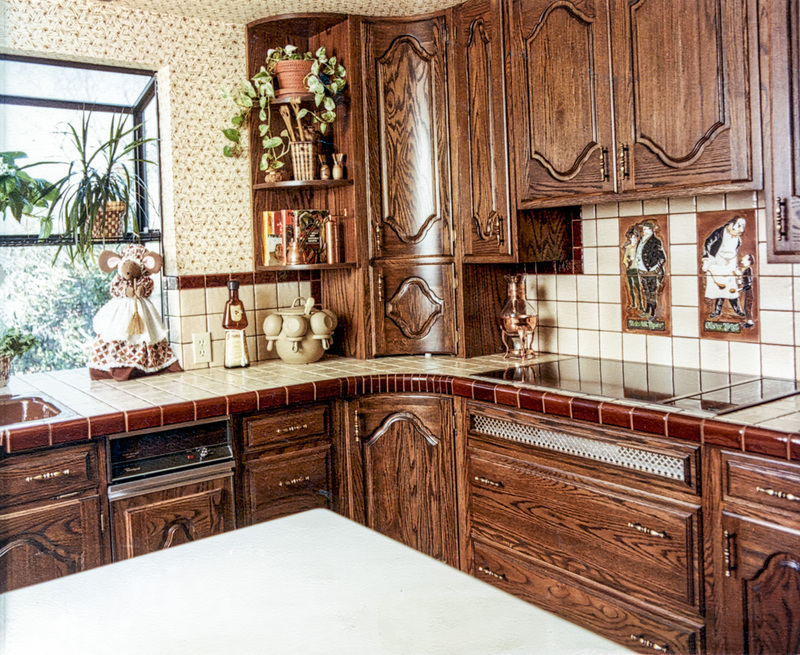 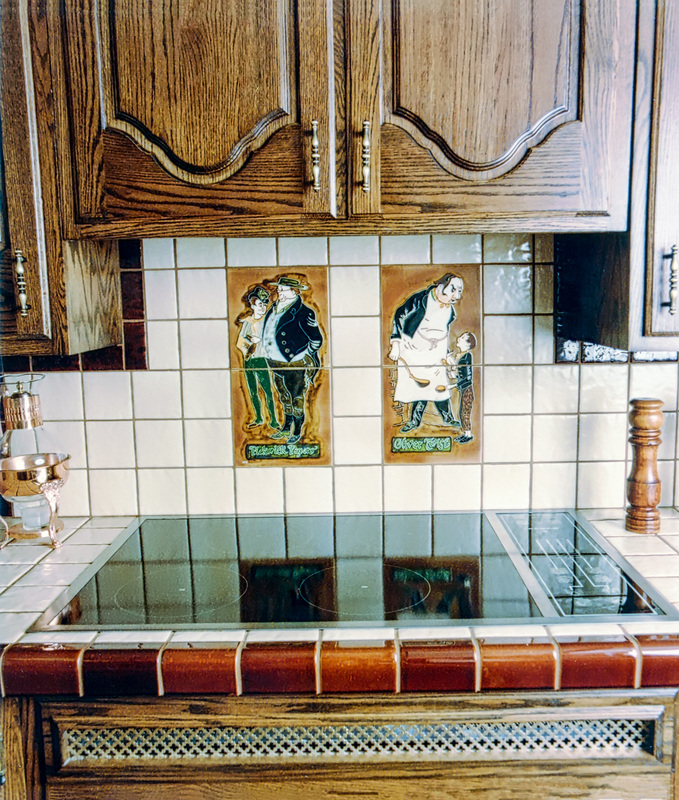 The clients cabinet style and color selection was greatly influenced by their recent visit to Europe.